Finally going to do something besides photography! i'm excited about this new post, once a week i'm going to share five things that i love! This is giving you readers more of a chance to share what you enjoy, tell me what you think about products i'll share, and also a glimpse into everything Shanna! even though i have tons of ideas this first week, here are five things i love! so if you've met me, you probably know this has been my favorite book for a while now! this is a book i truly believe every woman should read. it's restoring, encouraging and about women's hearts. i've cried, laughed, and understood more about who i am and my heart after reading this book, and more importantly what God really had in mind for me. Eventually there will be a review from me that i post, but for now purchase and start a journey to healing parts of your heart that maybe you didn't even know was hurting. do you have any favorite book to share?! 'Mod about you' will reamin my favorite summer nailpolish color, especially for my toe-sies! This color find i give credit to my mom, who is the one who sneaks this color into gifts and i absolutely love it! 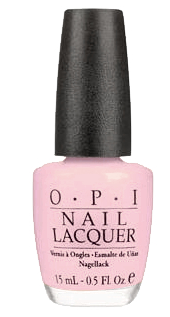 so if you're looking for a pretty pink, give this one a try! I also have to give credit to my bestie rachelle. i didn't paint my nails regularly until i lived with her. good pretty habit! Viva La Juicy: Juicy Couture, the perfume i've been in love with for a while now! but i have some other favorite i'll share too.. speaking of other perfumes i think this kick might be over after this bottle is gone. i just need different smells! what's your favorite scent? have one for your man? This shoe is something new for me! As much as i love being girly, i couldn't get into sparkly until recently. i'm starting to embrace it more with subtle pieces of course. so here's a shoe for only about 25.00 from payless. it made a perfect holiday shoe, and to be honest, a wherever- i-want-to-wear-it-to shoe. love it! and there's a matching purse too i got! so cute. ah! Minnesota i will always love you. even when i live in las vegas. this is something that's.. not QUITE mine. but it's on my amazon wish list... hint hint. what's not to love here? Necklace, pink, Minnesota! it just makes me happy. For about $32 you can purchase this on etsy. Other states are available too.. i guess. so tell me what you think of these first favorites i shared! and let me know what some of yours are too.